I was a student in the time before the World Wide Web so all my gaming news came from old-fashioned print media. I was reading Dragon magazine and got to the page dedicated to PC gaming. Dragon being what it was the section was normally dedicated to Role-Playing Games but in this particular month it had a few lines about iD software’s shiny upcoming game, Doom. More importantly, they included a single screen-shot. It wasn’t of anything special, simply a shot in the middle of the animation for the marine reloading his pump-action shotgun but I remember peering at the picture wondering if it really came from the game or was hand-drawn. It really grabbed my imagination and I spent the next few months building up this mental picture of what Doom was going to be like. As I only had a single screen-shot plus a few lines of text to go on the game produced by my fertile imagination only had a passing resemblance to what iD released a few months later. 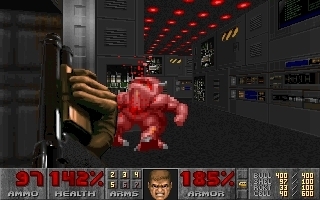 Doom was awesome and few games have grabbed my brain as much as that one, simple screen-shot. 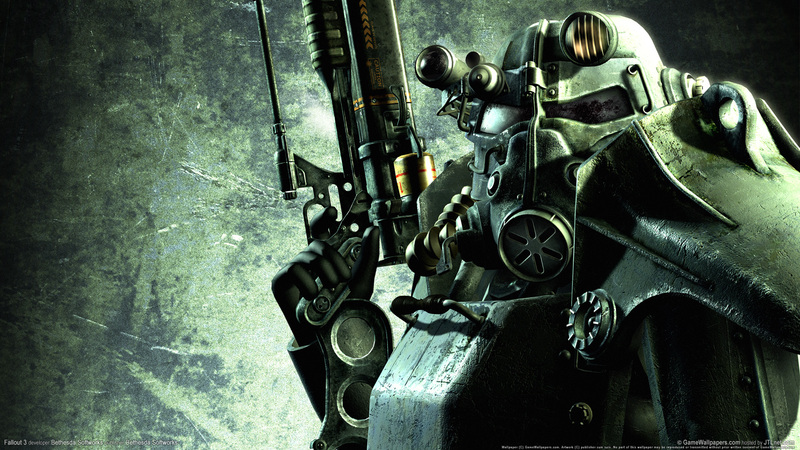 The first two Fallout games are in my top-3-games-of-all-time list so when the 3rd game was announced I was a teeny bit excited at the prospect of exploring the world in first person mode. Liam Neeson was my dad! I could interact with the Vault! Pip-boys and faux-50’s paraphernalia everywhere! Pretty cool! But it was the first moments as I left the vault that were really awesome. The bright sunlight blinds you when you emerge and as your eyes adjust find yourself looking out across the wasteland. I’m not sure if my mouth was open, but it seemed my mouth was open. All my favourite Fallout stuff, there, rendered in front of me waiting for a damn good exploring. In the early days of popular computing in the UK the ZX Spectrum was the weapon of choice. With it’s popularity and the comparative ease of programming the computer game scene exploded; there were dozens of publishing companies and most were just desperate to get new releases out ASAP. There wasn’t much knowledge of developers or publishers around but I remember always being excited to see a new release by Ultimate (Play The Game). Jet-Pac, Psssst, Tranz-AM and Cookie were their first releases and each was head and shoulders above most of the other games around. Smooth motion and bright colour were rarities on the Spectrum due to its hardware and good music was difficult to implement due to the lack of musicians with computing skills. Whenever a new Ultimate game came out it was party time; as I didn’t really follow any gaming press (not that there WAS much gaming press initially) I had no idea what the games were about so it was all new gaming territory. 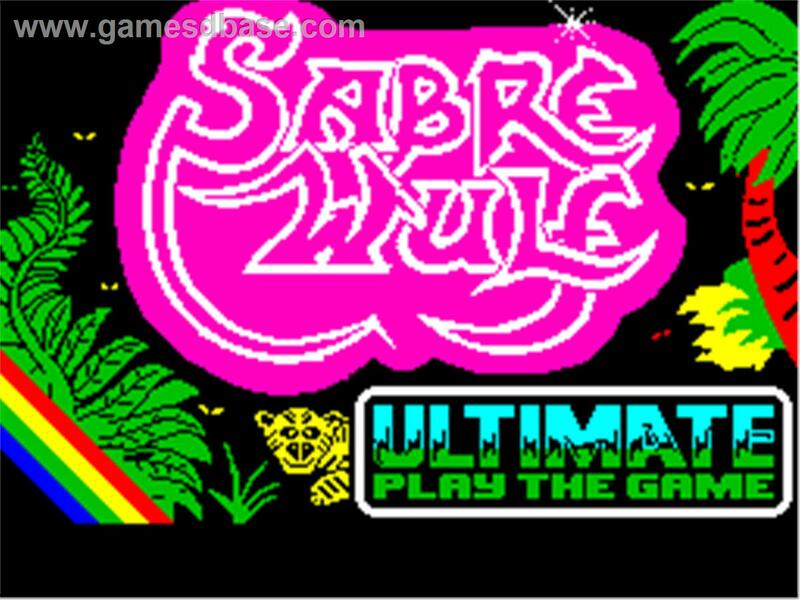 They pushed new territory with their games; Sabre Wulf was released in a snazzy cardboard box at almost double the price of normal games and later Underwurlde and Knightlore had a simultaneous release; the latter with a new, never-seen-before isometric perspective. A rule of thumb at our LAN parties is that if a game allows you to do terrible things to everyone else, it’s worth playing. 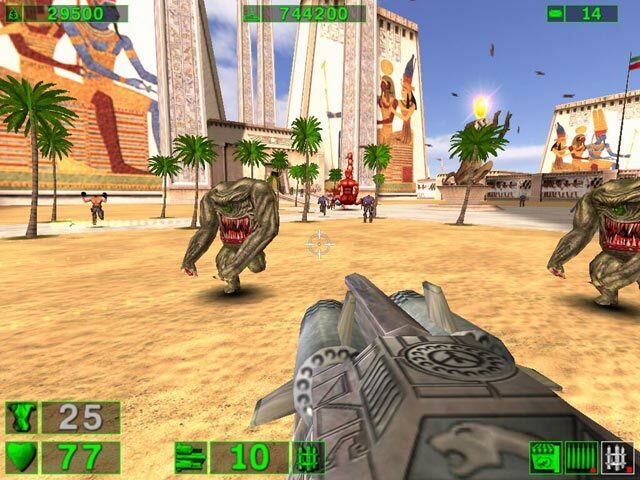 We have played some co-operative games over the years and one of the best was the first Serious Sam. It had an 8 player limit as far as I recall and that allowed us to play through it together (we normally had 7 or 8 at LANs). 1) There were no lives or penalties for dying in any way. We could all just keep respawning and pushing on. 2) Friendly-fire was enabled so it was easy to cut your team-mates down with withering gun-fire. There were loads of great Cinemaware games but It Came From The Desert really stuck in my mind. The presentation, graphics and sound were amazing (the Amiga really was an awesome system) but a lot of the appeal came from the setting. I was a bit of a film geek and I loved sci-fi and horror, but being young I didn’t get much access to the latter. That meant I adored old B-movies and the game really captured what they were like. 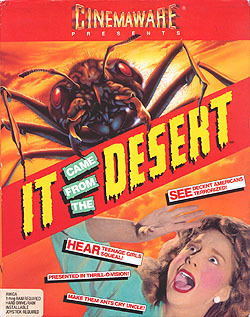 The gameplay was a set of connected mini-games around the theme (shoot the antenna off of the attacking ant! Play chicken with the gang members! Defend yourself in a knife-fight! etc.) but it had some interesting quirks. There was no way to die as such, but every failure cost you time. If you hadn’t solved the game by a certain point (and the clock was always ticking) the world would be destroyed by the mutated giant ants. The game relied on you playing multiple times (a full run only took an hour of real-time) and it was all about developing the knowledge and skills over multiple play-throughs. It was a bit of pre-cursor to modern rogue-likes and I remember both enjoying and being frustrated by novelty of the idea. Next Next post: 100 Posts!